1.Alan Mutter’s “free suggestions” on paid content, which notes several models that have been tried and failed. 2. Web wunderkind (maybe still a wunder, but less of a kind today) Rob Curley says that repurposing your web site to fit new technologies (in his case, the iPad) is not the way to go if you want to gain audience and, potentially, new revenue streams. Both Mutter and Curley highlight what we’ve been shouting for the past few years: Simply charging for the “same old, same old” isn’t going to cut it. The industry shot itself in the foot in the ’90s by failing to recognize the potential of the Internet. Publishers can not go back and say “we blew it, so now you must pay for our mistakes.” That may only hold up in markets where the content provider has no immediate competition, but that does not guarantee someone could come in and undercut the incumbent. What people will pay for is something that they believe is unique — an experience that they cannot get anywhere else. Many newspaper readers remain loyal to that product because it is an overall sensory experience to them. The tactile feel of the paper, the ability to sit back and relax anywhere, the discovery of something new while looking for something else. That experience cannot be repurposed to the web, so we need to find new ways to do that. So many news organizations have brought on ‘innovative’ people, yet with few exceptions there has been no major innovation that has attracted audiences. Time Inc.’s Sports Illustrated demo last December has that experience potential, and I hope they do adopt it for their iPad format. Curley’s Las Vegas Sun format has great potential as well. But the industry needs to make readers want to read their products — only then will they be willing to pay for it. Remember, readers won’t pay for content if they have to. They will pay if they want to. You must make them believe they want your content! Belated congratulations to ProPublica, which recently won a Pulitzer Prize for investigative reporting. The honor is especially exciting because it puts a spotlight on an emerging form of journalism that — thanks to this kind of recognition — we hopefully will see more of. ProPublica, for those unaware, is a non-profit organization that produces investigative news stories. It’s roots are independent, but as in the case with the Pulitzer-winning piece, they will collaborate with traditional media — in this case the New York Times Magazine. They’ve been around since 2007 and although they operate in the public interest, the public is generally unaware they exist. They also serve a need that’s arisen as news organizations are faced to do what they did so well with fewer resources. The ProPublica prototype is a great foundation for creating independent companies that could provide services, resources and expertise to news orgs that are unable to do the kind of work they used to do. I like to call this ‘hired-gun journalism.’ If a newspaper has a special project or investigative piece they would like to do, but cannot afford to dedicate a reporter to it, they could call upon a ‘hired gun’ organization to step in and help handle the piece. The outsiders could have the expertise to either handle the entire project, or they could just work the time-consuming information gathering and distillation process, leaving it to the newspaper staff to write the piece. Fees could be on a sliding scale, but it would still be less expensive than using the existing staff. The Pulitzer for ProPublica gives the organization stature and respect among the traditional media, as well as some good press to the public. That respect could translate into a new way of doing journalism in the next decade, and as a result help save a fundamental of journalism that is highly needed in our society, yet is falling victim to shrinking dollars and resources. There’s been a lot of bad news about the news industry over the past couple of years. Staff cuts, reduced revenues, doing more with less. It’s been tough for newspapers. It’s been even tougher for journalists. But the New York Observer points out a sign of hope, that media companies are starting to hire again. It’s not a hiring binge, but at least it’s a positive sign. And even a little good news is something we in the business could use now. It’s impossible to predict just how the public will accept new devices. Some, like the iPhone, are instant successes, Others, however, quickly move to the bottom drawer of the desk of life, never to be seen again. I decided to reflect on potential “Next Big Things” and the impact they made on our lives. The list is by no means complete, and please comment on ones I missed. I may follow up in a future blog. 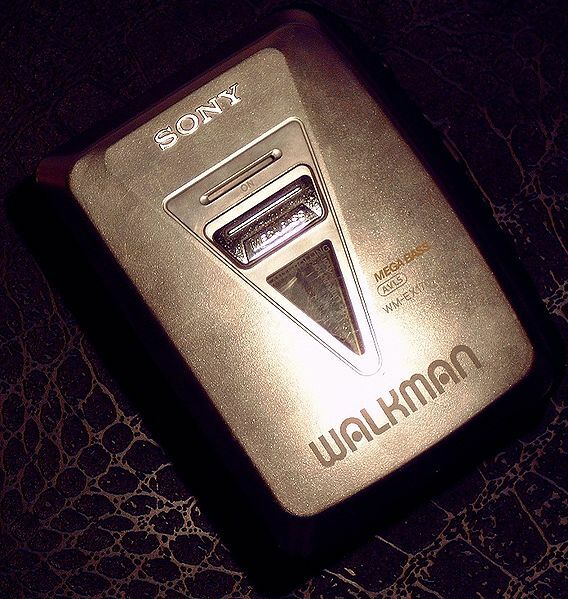 The Sony Walkman unleashed everyone's inner bad singer. WALKMAN: Sony’s portable stereo cassette player made it cool to sing and dance like an idiot in public. PLAYSTATION: Sony significantly raised the bar for video gaming, creating an entire generation of couch potatoes. IPOD: Just like that, you can carry your entire music collection in your pocket. And milk crates once again can be used for hauling milk. 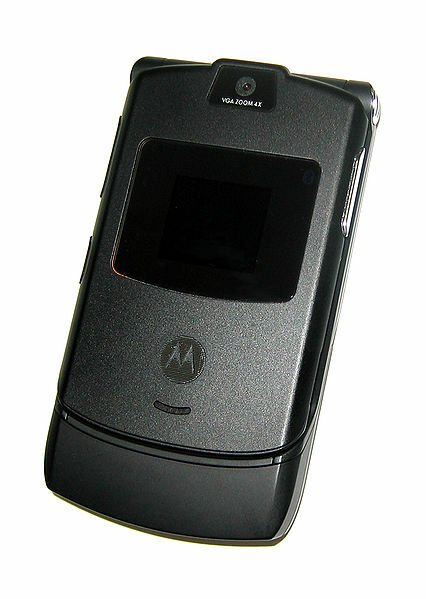 The Motorola Razr was hot ... then not. RAZR: Suddenly, the cell phone became an international fashion statement. Then, just as suddenly, it wasn’t. NINTENDO WII: Wii raised the bar PlayStation set by getting people out of that big rut they created in the couch. TIVO: Watch a TV show anytime, and skip over the commercials? Is this heaven? LCD TELEVISION: Revolutionized the way we watch TV. Now if it could just revolutionize what’s on TV. IPHONE: The small, powerful device gave us more ways to waste our time than we can imagine. 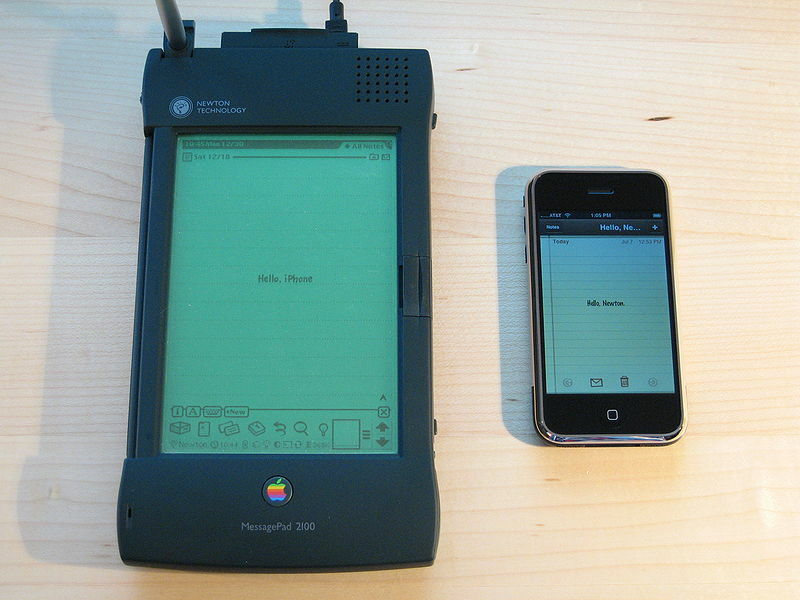 The Newton was Apple's next big thing for PDAs, but fell faster than gravity. NEWTON: Not everything Apple touched turned to gold. This predated the Palm Pilot as the first PDA, but it’s handwriting recognition system couldn’t translate into a language used by human. SEGWAY: The personal transport system was supposed to revolutionize the way we moved around. But most folks seemed just as happy with walking. SLINGBOX: Allows you to watch your TV from any computer in the world. Unfortunately, YouTube and Hulu do almost the same thing for a lot less. 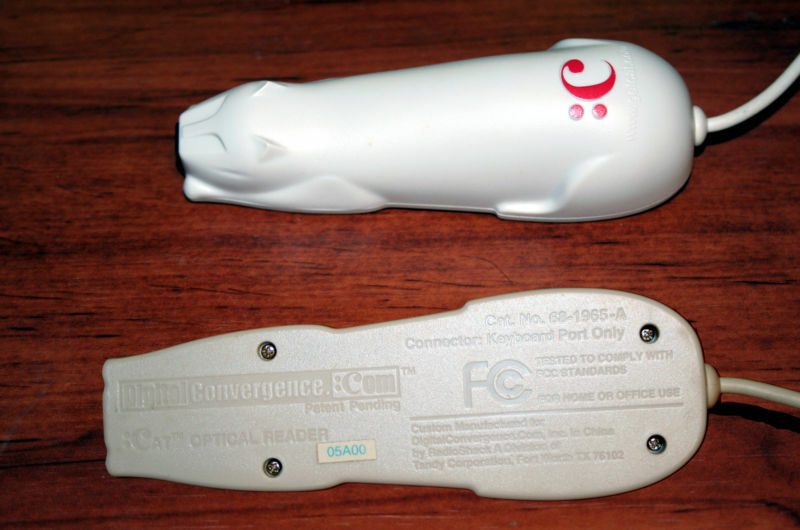 The CueCat, which couldn't co-exist with your computer's mouse. CUECAT: This device allowed customers to shop or get information off the Web by scanning bar codes on printed material, like catalogs or newspapers. Still wondering why this didn’t catch on? VCR+PLUS: Record your favorite TV programs by simply punching a code into your VCR and … wait, what’s a VCR again?